Santa Clara’s city council late Tuesday unanimously approved the largest private development project in Silicon Valley’s history. Related Companies is now approved to build a $6.5 billion mixed-use center and office campuses just north of Levi’s Stadium at 5155 Stars & Stripes Drive, on land now occupied by a city golf course and dirt-bike track. It will be known as City Place. “We feel very excited about the project. 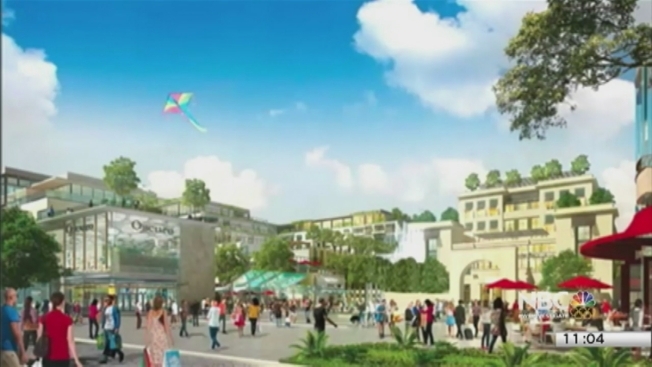 It’s the biggest project in the history of Santa Clara,” Santa Clara’s acting City Manager Rajeev Batra said. The city first presented the plan for the 240-acre city-owned site three years ago, the Silicon Valley Business Journal first reported. Santa Clara’s city council late Tuesday unanimously approved the largest private development project in Silicon Valley’s history, according to the Silicon Valley Business Journal. Sharon Katsuda reports. “We do not have a destination. We do not have an entertainment center, restaurants, or retail. 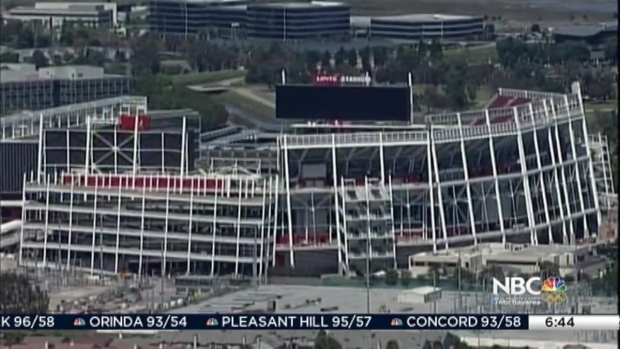 So people in Santa Clara have to go elsewhere like San Jose or other cities like Campbell,” Batra said. With a total of 9.7 million square feet, the project would include up to 5.7 million square feet of office, 1.1 million square feet of retail, 700 hotel rooms and up to 1,360 apartment units for a total of 9.16 million square feet. A 35-acre park is also built into the plans. Currently, Santa Clara Golf Course, a BMX track, and restaurants occupy the former landfill, and are about to be transformed into CityPlace. “All the people around here golfing are more like friends and family so I’m kind of sad to hear that it’s going to go away,” said golf instructor Mike Kim, who has worked at the course for more than 20 years. Some neighboring cities worry Santa Clara only has its eye on the prize: $17 million per year in rent CityPlace is estimated to bring in. Others fear the city may be overlooking traffic, a water shortage and other costs. “Housing costs are already high and this would add tens of thousands of jobs with maybe only hundreds of homes,” San Jose Communications Director David Vossbrink said. The city of Santa Clara says it has about 10,000 units included in its general plan, according to Batra. More, the State Water Resources Control Board still must approve water use for the project. Some neighbors say they doubt the infrastructure is there to a support a project of this magnitude. “The traffic around here is already horrific, parking is already horrific,” said Rita Miller, who hopes any revenue generated from the upcoming project will benefit Santa Clara schools. The city resident has lived near Lafayette Street long before Levi’s Stadium was built, and she can’t bear another construction project nearby. “Actually the thought of it makes me start to look for other places to locate,” Miller said. City officials said they expect Related to begin construction by the end of 2017 and finished in 2020. Related is a $20 billion development company headed by Miami Dolphins owner Stephen Ross. Joe Montana is also playing a small role in the company.